As a loving tribute to the memory of her beloved mother, Edna Belle Poole, became a clown. The thin old woman smiled as the clown popped into her nursing home room. Reaching out her knobby, frail hand, she said, “I’ve been waiting for you.” The clown, with a huge grin, put her white gloved hands on the woman’s shoulders and gave her a hug. The elderly woman is one of thousands living without love or laughter. The clown is one-of-a-kind who brings love and laughter to them. Making people laugh has always come naturally and easily to Edna Belle Poole, but in late 1980 she heard only the distant echo of that laughter as she sat alone grieving. The loss of her mother, Anna, seemed more than she could bear. Edna had devoted her life to caring for and being best friend to Anna. On the brink of a nervous breakdown, Edna was grasping at ideas to help her through this difficult time. She began to see that by taking all the time, love and care she had dedicated to Anna and giving it to the elderly and infirm, she could begin to live again. Edna concentrated her visits to the elderly and children who were ill. Her reputation grew and she was asked to appear at such diverse affairs as parties for special needs children and at a home for wayward boys, and to a women’s prison. Edna turned no one down and still managed to hold down a full-time demanding position. Edna often spent Christmas Eve sharing her special brand of love with elderly shut-ins. 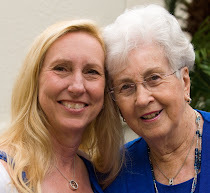 I knew Edna Belle personally and in 1984, with her permission, wrote several articles about “Antique.” The articles were published in both the Lady’s Circle Magazine and Guideposts Magazine. Consequently, Edna received hundreds of letters from people all over the world and from many church ministers who used her story in their sermons. Most famous among them was Robert Schuller, pastor of the Chrystal Cathedral in California.